This weekend, we went for a quick fieldtrip to the Estonian island Saaremaa to collect some seaweed, as we so often do. 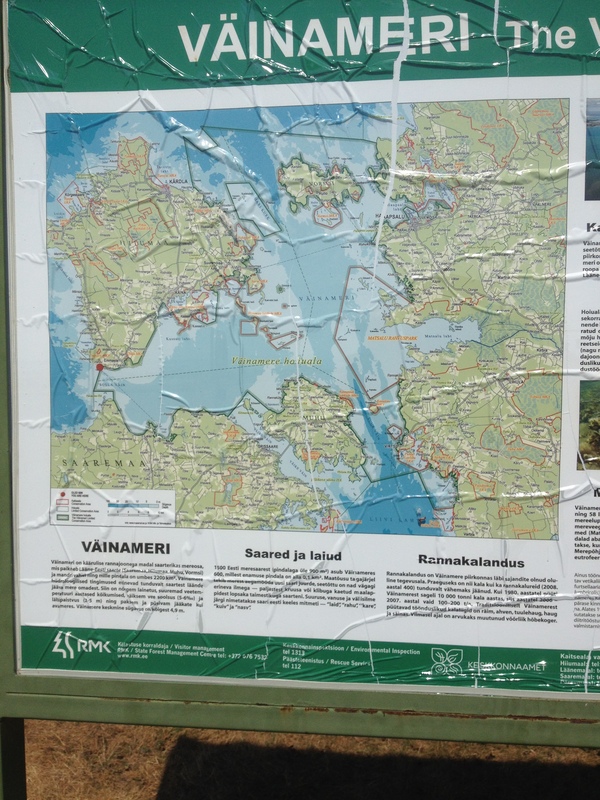 The West Estonian Archipelago Sea, or Väinameri is very shallow and well sheltered as you can see on the map. Increaseing depth is deeper blue, and there is not much dark blue there. The Väinameri is often no more than 5-10 meters deep. 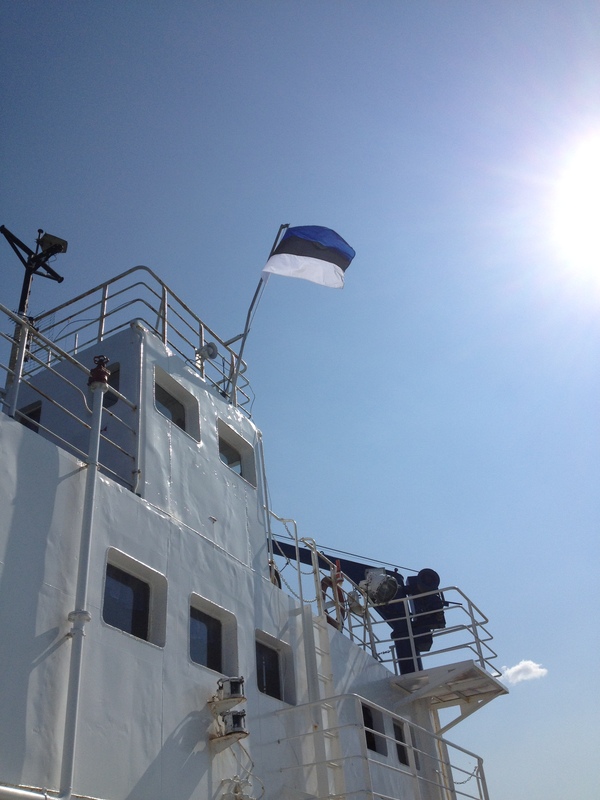 As before, we rented a car in Tallinn and drove down to Virtsu, where the ferry over to Saaremaa is. It is a nice trip through the rural landscape, we even saw 7 storks lined up next to the road on a field. They looked almost fake, until one of them moved. 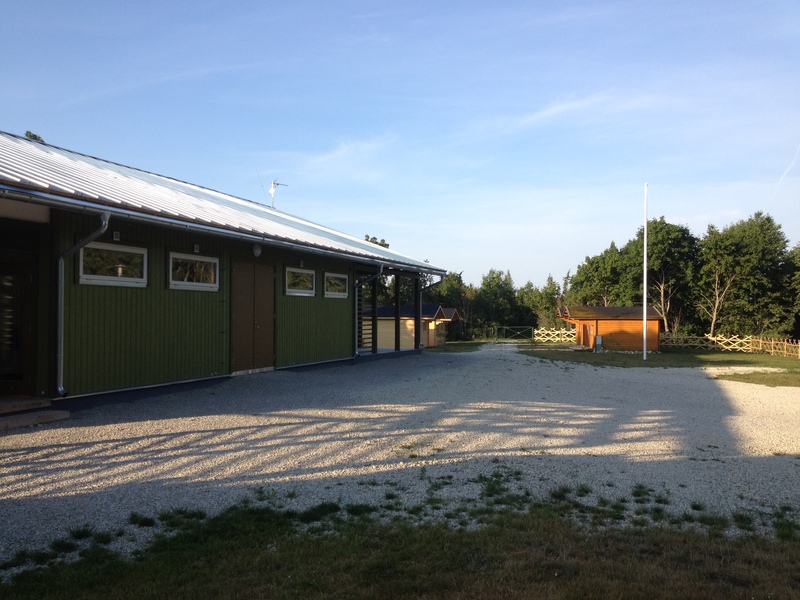 On Saaremaa we have been fortunate enough to get to stay at the fieldstation of our Estonian collegue Jonne Kotta. 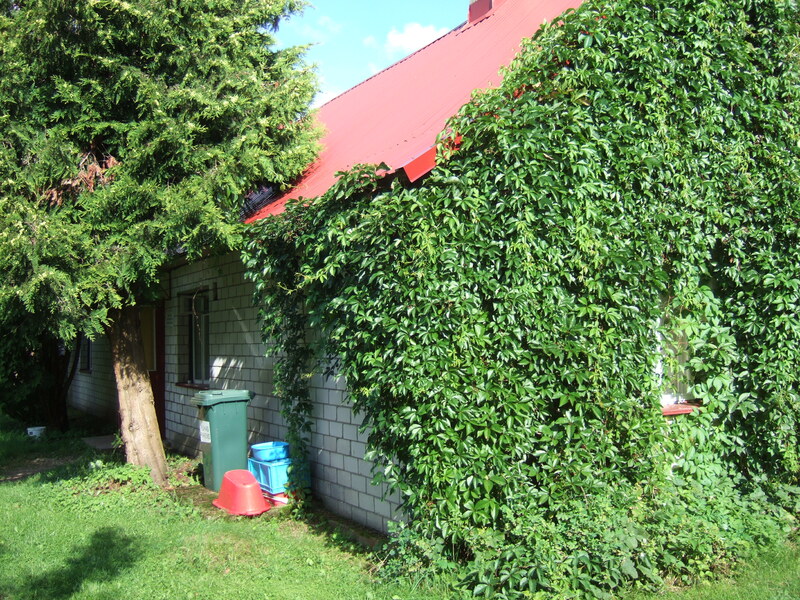 It is a lovely place, a small house with outdoor toilet, the sea just behind a sheltering border of trees and a small garden with berries and rhubarbs. And a wooden outhouse for equipment and smelly experiments. 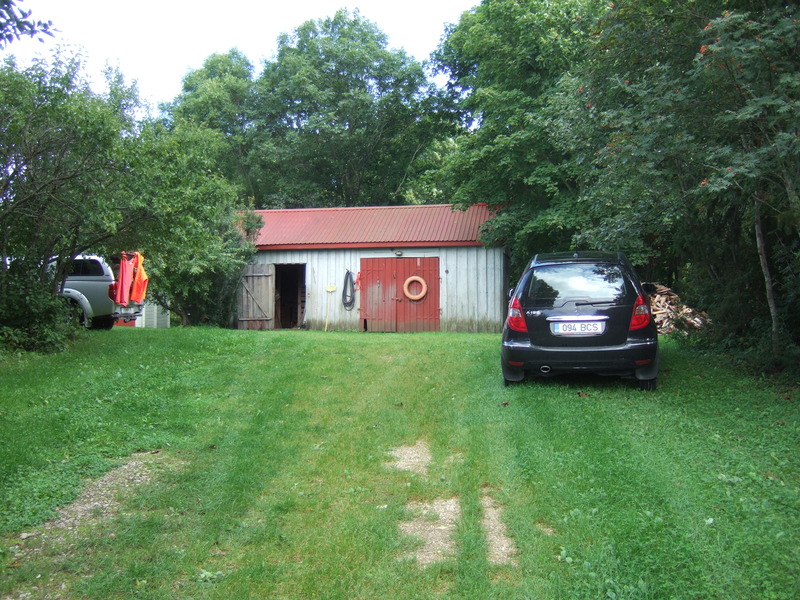 The fieldstation is Jonnes familys’ summerhouse. So imagine our surprise as we drove up and saw….this! Three jaws dropped as we couldn’t believe our eyes!! Where the old outhouse used to be, there is now a brand new lab building, with large kitchen/lecture room, computer/microscopy room, indoor bathrooms and showers, enormous storage space for stuff and a wetlab for sorting. There is also space outdoors for sorting and setting up experiments. The lawn where one used to park is now extended and covered with gravel to fit several cars, boat trailers and whatnot. And two more cabins have popped up opposite the old ones, therby doubling the overnight capacity. 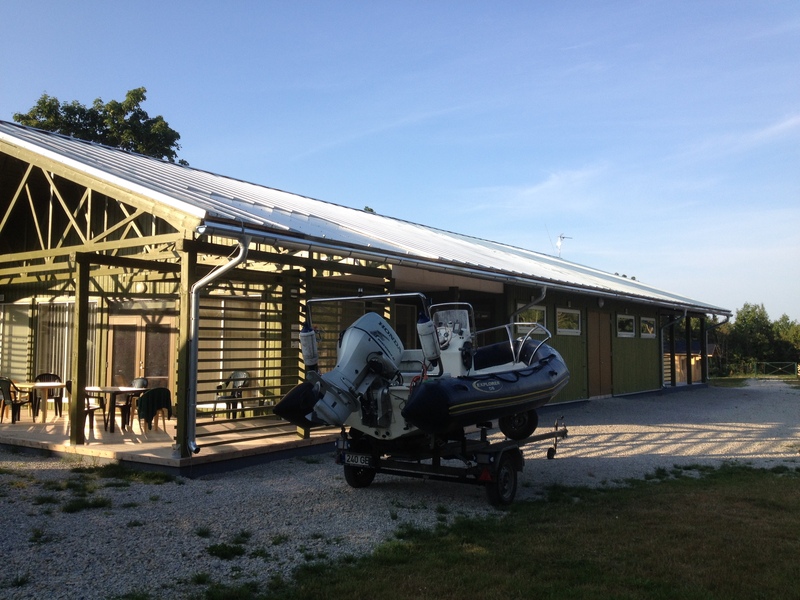 Lots of parking space and new cabins. But in my astonished euphoria over this amazing change, due to Jonnes resourcefulness and hard work no doubt, I am almost forgetting the seaweed (that’s saying something, that is). This time, we went roud to five sites, two old ones and three that I had not sampled before, but have only been sent material from by Jonne. The office looks good some days. The weather was marvellous, all still and not a cloud in sight. On Saaremaa the Fucus grows much shallower than on the Swedish coast, probably due to higher turbidity in the water since the Väinameri is much affected by land nutrient runoff. 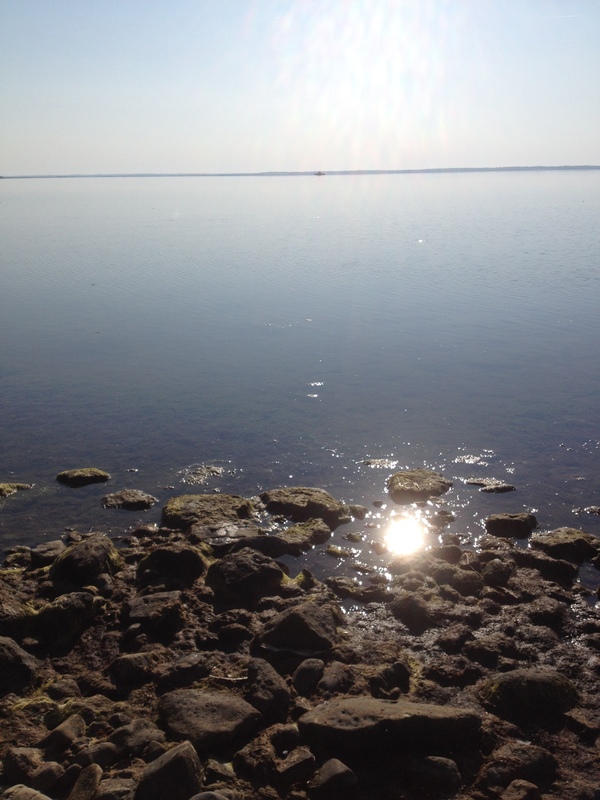 It is also very shallow, so that, at some sites, I have to walk almost 100-200 meters for the water to reach my knees. Our collection went smoothly and quick, so we decided to take a trip over to the island Hiiumaa, which is north of Saaremaa, since the ferry to there departs from one of our sampling sites, and because we wanted to see what kind of seaweed grew there. One often thinks that it will be the same in an area, but in reality there are sometimes quite large variations on small scales, so we take nothing for granted. And, sure enough, the beaches we looked at were quite different from those on Saaremaa. It is amazing how much impact the difference in wave exposure does for the underwater environment. But even though we didn’t find a seaweed paradise, it was nice to be on a ferry and see the sea. We could also note that the algal bloom was in its peak, same as in the Baltic Proper (we could see it from the plane was we flew over the Åland islands). 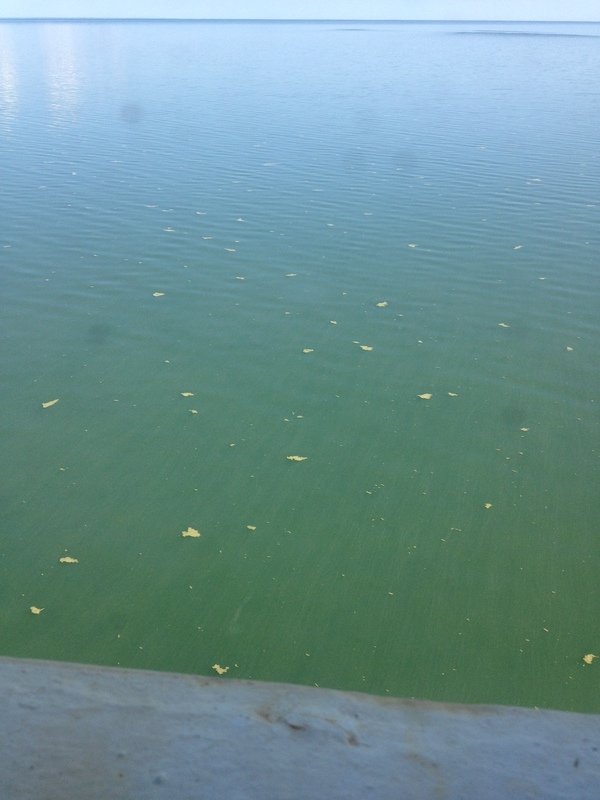 Microalgae bloom floating on the surface of a still sea. 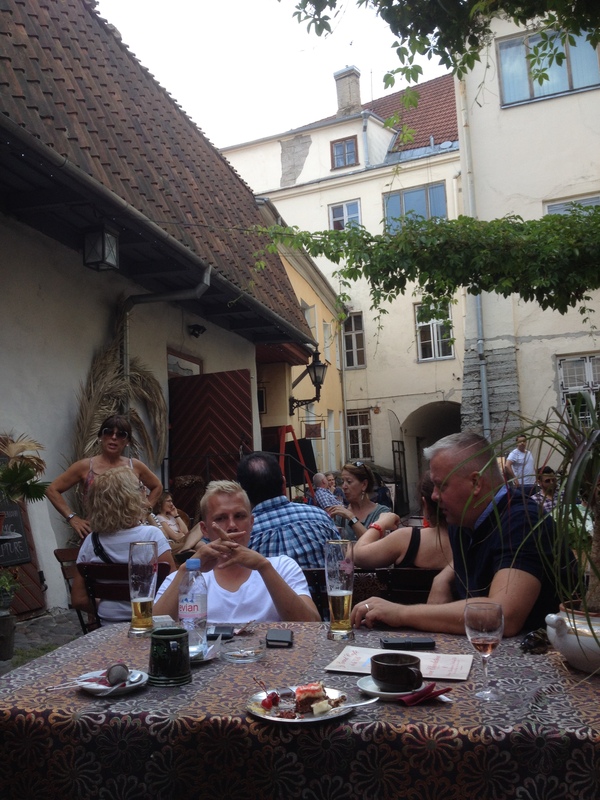 After enjoying a lovely dinner in the town Kuressaare and a good nights sleep, we went back up to Tallinn and even had time for lunch in one of the towns many great restaurants, and a coffee in a cozy café before we returned the car and headed back to Sweden. And so, to round off this praise for Estonia and the new fieldstation, here’s a photo of the collected Fucus radicans from Saaremaa. Estonian Fucus radicans is smaller than the Swedish ones. 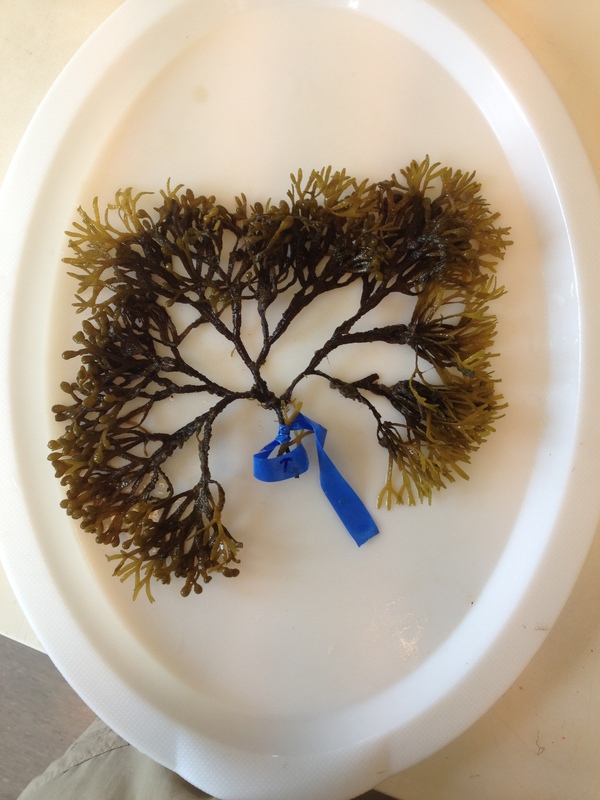 This entry was posted in News and tagged Askö Marine Laboratory, Baltic Sea, Estonia, fieldstation, fieldtrip, fieldwork, Fucus radicans, Jonne Kotta, Köiguste, macroalgae, narrow wrack, Saaremaa, seaweed, Väinameri. Bookmark the permalink.